Are you interested in your personal finance? Are you searching the Internet for advice on money? Are you considering using a financial advisor because you've run out of ideas? If you answered yes to all three then there's problem. If you're the type of person who's interested in personal finance and does a lot of research then you probably aren't the type of personal that needs to pay for financial advice. What do you need an advisor for if you know the basics? Most people believe that a financial advisor is going to give you a magic bullet for your finances. They believe that it's worth going to a financial advisor as the end result of the meeting will ensure that they're better off. In general, they're wrong. What will a financial advisor give you? 1) foundations - ensure that the base of your personal finances are sturdy. Make sure you're properly insured. This includes life insurance, health insurance, critical illness cover, mortgage cover, income protection and ensuring you have a will written. This guarantees that should the worst happen your spouse and children will be looked after. 2) sturdy walls - your bricks and mortar. These are your income producing assets. 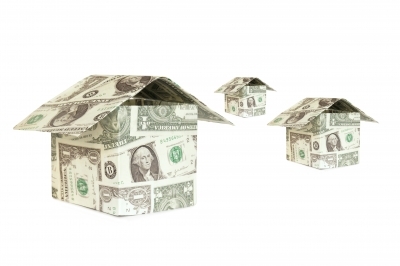 These include dividend producing shares or funds, rent producing property or REIT investments, and fixed income producing bonds or structured products. 3) putting a roof on it - ensuring that you have a pension ready for retirement. 4) the bonus - the financial advisor can generally sort your mortgage for you. In addition, they can provide business advice and put you in touch with their contacts in law, private banking, accountancy and tax planning. As you can see this is all good stuff bug nothing mind blowing. A well intentioned financial advisor truly can send you in the right direction in all financial areas of your life. A bad financial advisor can really mess things up for you as well as taking a fee for the privilege. What might the financial advisor really be giving you? 1) foundations - a financial advisor is liable to over protect you. It's in their interest. They will generally earn a commission for most products that they sell you. You may already have critical illness cover with work - check your contract. I was surprised to find out that I did when it came to applying for my mortgage. You may already have some life assurance through work as well or via your existing pension. Make sure that you know what you have already before seeking out financial advice. Turns out I also already had health insurance through work as well. The advisor may be able to provide you with much needed health insurance. But have you checked that it's cheap? A quick search on a comparison website will most likely reveal several other cheaper providers. Some of the products we were offered were half the price if we looked online. 2) sturdy walls - surely this is stuff we know already? A financial advisor can offer you various funds and structured products. These can be extremely expensive. I've written before about my mum being encouraged by her (former) financial advisor to invest in a fund that charged 3% per annum. For what?! It invested in a mix of bonds, REITs, cash and equities. No fund should ever be charging that much. Even some of the worlds best hedge funds generally only charge 2% per annum (plus 20% profits). 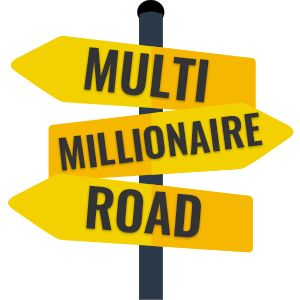 As a reader of multimillionaireroad and of other personal finance blogs I find it hard to believe that this wasn't stuff you already knew. If you went and sought out all of these products yourself I'm fairly certain you would find them cheaper. 3) putting a roof on it - when it comes to a pension, sourcing through an employer which offers a match scheme should be a priority. Do not think about any other product before fully utilising your company's matching scheme. They're throwing money at you. You effectively more double your money upon putting money into your pension via this mechanism. 4) the bonus - all of the bonuses offered by a financial advisor are services you can get yourself by shopping around online. You'll save yourself a small fortune. Let's be very clear. The only person who has your best financial interests at heart is you. A financial advisor is a business and businesses need to make money. Of course, the financial incentives of the business and your incentives can coincide. However, more often than not you'll be able to find the products offered by a financial advisor cheaper if you shop around. The above article contains my opinion and should not be construed as financial advice.